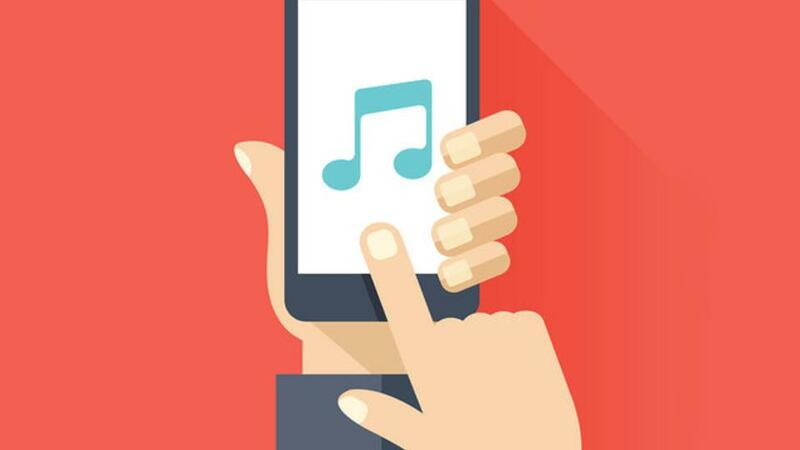 Music and Marketing: This Stream Ain’t Free! Apple Music and Spotify are the heavyweights who are fighting for their share of the streaming market — hailed as the savior of the music industry. But the list goes on to include Youtube Music, Amazon Unlimited Music, Deezer, Tidal, Pandora, all as being potential threats to the throne. All of them offer us premium models complemented by an ad-free experience, but what are we really getting once we subscribe? June 29th was a monumental day for pop music. It was the day of the launch of Drake’s latest, Scorpion. Everywhere you went online had promotion related to the launch of the Toronto legend, but in no other place was this as pronounced than in Spotify’s platform. The company titled the move as Scorpion SZN and found a way to make Drake a presence in all of their frontpage banners and playlists, even if they didn’t feature any of the artist’s songs, like it was understandably the case for playlists like “Best of British”. But that’s fair game for a service with a free tier that is supported by ads, right? Yet, this marketing push didn’t only hit free tier users but also their paying premium counterparts. And they weren’t happy about it. One user took its concerns to the streaming giant’s customer service and got a refund. Others followed suit with mixed results as the scale of the outrage increased. Some ended up cancelling altogether. Some have rightly called big data as being the new black gold of the internet age. Tech companies are now an intrinsic part of our routines. Part of their business model relies on knowing us better and, if they offer a free model like Facebook or Google, selling our attention to advertisers in order to create a profit. So far, the deal between tech companies and users seemed pretty straightforward, but the past few years have put a lot of strong cases, with the Cambridge Analytica scandal as one of the most alarming ones, for why this relationship might not be as healthy as just another “but it’s free!” affair. The music industry became the canary in the coal mine when it came to the huge spin that the internet would bring over many industries. Music piracy brought the business on its knees and physical sales took the greater hurt. A decade and a half later, the industry is on the rise, even seeing physical sales coming back. A lot changed and now artists count on merch and touring as the biggest way to pull real revenue. How did the industry pull it off? Streaming was the response to listening to music in the internet age. Lightweight, seemingly infinite in offer and giving you a way to have your library accessible on all devices, streaming brought the best of the internet’s connectivity to the ravenous hunger and offer provided by the growth of the music world. The internet also brought forth the democratisation of music publishing, which in turn brought on the biggest tsunami of releases known to civilisation. With less gatekeepers and ears turned to the traditional bastions of music promotion, it took a minute for the industry to find a way to start finding its fanbases — now more scattered in different platforms than ever before. To understand you, the user, and create tools that allow artists and labels to make the most of music in the internet age, streaming companies also have dove deep into the big data pool. And the data in which they are splashing in is vital to create these streaming platforms. Some of the collected data is pretty obvious: when you paused a track, when you skipped it, when you increased the volume, the number of times you played Kate Bush (not enough). But, as users found out after asking for the data collected on them through the GDPR data export, it goes deeper: like all of your searches, how many times you have resized your window or even what brand of Bluetooth headphones you are using. Companies approach to collecting such amounts of data has been often considered overkill. But since data has been such a free prime resource to syphon, companies that have grown on the big data model have looked to garner as much of it as possible and then figure out how to transform that into value for the company. While the streaming company uses this to understand its consumers and improve their product, it also provides tools that labels and artists can use to understand their fanbase. They can know which tracks are being played the most, their demographic, what parts of their catalogue is performing well or what is being heard in what territories — a useful insight to prepare setlists for shows. On the user side, all this data turns into dynamic playlists, radios and curated content, all of which are incredibly powerful tools of navigating an ever-increasing ocean of song releases. Whether you decided that you want to support your favorite artists, avoid obnoxious ads or just get access to your chosen platform — it’s time to move forward and get that credit card ready. Also, you’ll be able to take advantage of offline play that lets you seamlessly access your playlists and saved music anywhere and, of course, high-quality audio. Thankfully you don’t have to worry anymore about 2016’s worrying trend: the use of album exclusives. This did not last, with Lucien Grance, CEO of Universal Music Group, banning the use of exclusives after Frank Ocean’s release of Blonde exclusively on Apple Music. Now, that doesn’t mean that exclusives have disappeared altogether, but nowadays they are mostly limited to added value content: behind-the-scenes, documentaries and concerts. Streaming companies are also using similar strategies to convince you to buy their memberships. Family plans give you the best bang for your buck, but they’ve also been the target of a lot of criticism since they raise the number of subscribers but do so at a minimum value per user. There are also student plans to capture a younger audience that might not have as much spending power. 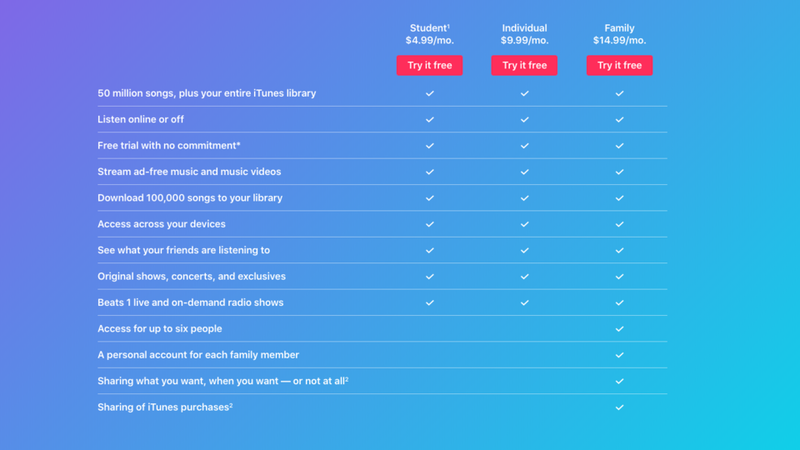 Now that doesn’t mean that the prices for streaming platforms are the same all over the world. Each of these companies adjusts its membership price in accordance to the economic power of each country’s people — the higher-end prices are attributed to places like Denmark, Norway or the United Kingdom and the lower ones to Philippines, Malaysia or Argentina. This profit margin doesn’t seem to be totally comfortable yet. 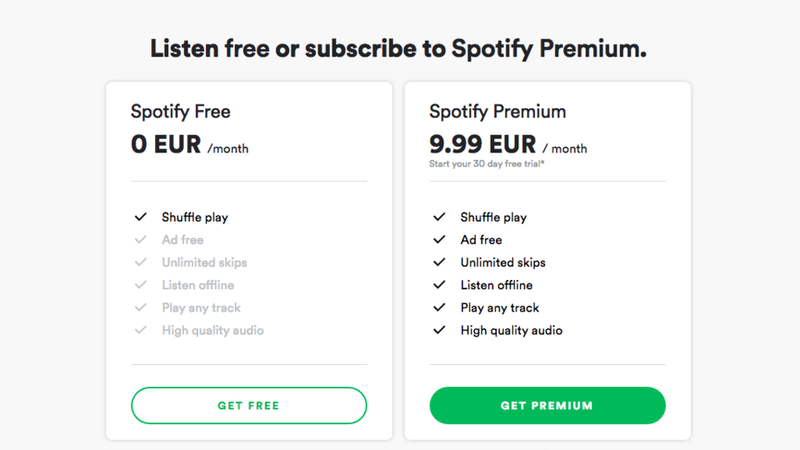 This year, Spotify has started to experiment with a 10% price increase in Norway, its most stable and loyal with one of the highest premium subscription adoption rates. The same move was also seen this year by Netflix. The big difference between both is that Netflix has heavily invested in becoming a producer of content which separates it vastly from its competition. In the streaming world, although each platform touts different advantages on their subscription page, the truth is, when it comes to content, these platforms are more alike than different. The United States and Europe seem to stand symmetrically opposed against each other. In the new world, Apple Music stands as the biggest tech company in the world; in the old continent, Spotify is the defying startup that single-handedly proved the streaming model could work on its own. These are the two giants that are duking it out most fiercely and see each other as direct competition. Right on the next rung of the ladder, things don’t feel as balanced. 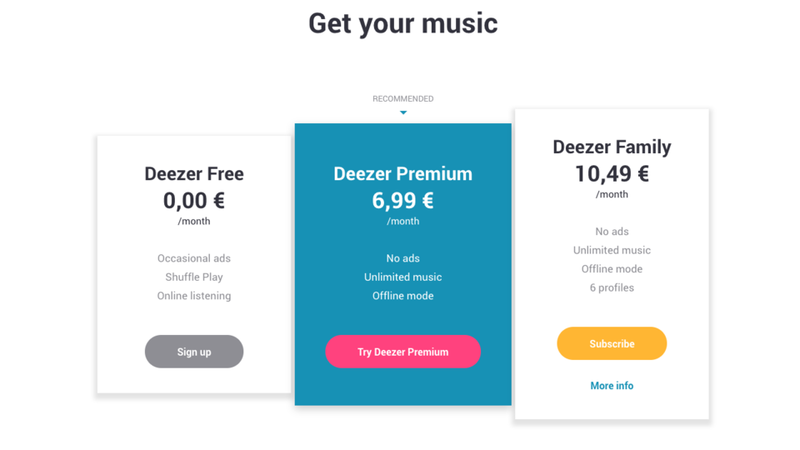 In the United States, you will be able to find Tidal, Pandora, Amazon Unlimited Music and Youtube Music; in Europe, Deezer. What sets apart apart Youtube Music, Amazon Unlimited Music, Apple Music is that they have the backing of technology companies behind them — which also helps them with how many blows they are able to withstand from a market that still has tight, even negative, margins. To start to fight back, Spotify has just associated itself with Samsung, one of Apple’s biggest tech rivals. If Homepod speakers come equipped with Itunes Music, then you can count on every Samsung equipment, from speakers to televisions, coming with Spotify integration installed on it. Apple is also making moves, having acquired Shazam in order to increase the value of its platform and ecosystem when it comes to music interactions. Spotify CFO Barry McCarthy said that one in two of its free users can be converted to premium if they stay engaged with the platform long enough. That seems to justify why the Swedish company has stayed so true to its free-tier. The latest numbers have told us that Spotify hit 83 million paid subscribers and have 180 million active users. If they can really get a 50% conversion on the remaining 97 million, that means they’ll be able win over the hearts, and wallet, of more than 48 million of potential users. That might explain why Apple Music is so heavily invested in expanding to more territories than any other service, 116 countries currently, and making sure that each of them has its own top 100 chart to keep its 50 million subscriber number growing at an accelerated pace. These numbers only paint how far from over the race for the streaming champion title is. Let’s focus only on the two biggest streaming competitors: Apple Music and Spotify. What really is the best choice for you, the music lover, who just wants the best way to discover new artists and stay up to date on the artists that he already loves? All of these platforms offer you ways to do this in some way or the other, what they don’t advertise is how their marketing is going to push content through those same personalised channels to you. And if the music catalogue, the sound quality, the offline capabilities are mostly the same, then it all really comes down to how seriously these companies respect your preferences — whether you are a curious melomaniac, or an avid lover of classics. Things stop looking so similar once interests of streaming companies and labels start warping what is presented to you and episodes like Drake’s launch debacle start emerging. Of course, rarely does this happen as bluntly as in the rapper’s Scorpion launch, but since streaming platforms even compete on the number of listeners to mainstream artists launches, it’s in their interest to push these contents even if you’d rather not have to deal with a new Travis Scott or Nicki Minaj album at the moment. More realistically, this will always happen inside a subtler blend of other content that genuinely resounds to your tastes but only to sweeten the pill that they hope to push forward. “Why should I care?” you might be saying reading all of this. To put it simply, as long as you pay a service it should be crystal clear on what you are paying for. If you are purchasing a product to be a target of more marketing on top (which is also being paid for by someone), then it means that the streaming channel is trying to eat the cake and have it too. If your music tastes align to the mainstream, as the biggest percentile surely does, then the content pushed by these companies will surely be relevant to you, but if you’re really looking for a platform that caters to your niche tastes? Well, it might just be worth to rethink for a minute which one really has the most algorithms working for you. The one thing that you might need to remind yourself is that the more time you spend on one of the platforms, the more you will build a collection of playlists and saved music. And, slowly, you’ll fall to what Spotify’s CFO described: that time is one of the greatest weapons that these companies’ have in winning your loyalty as a consumer. So maybe it’s not the catalogs, it’s just how the platforms see and treat us as music lovers. Ultimately, we want to discover the things we most love — not get advertised to. Which of the big players is really able to incorporate that into their business model?